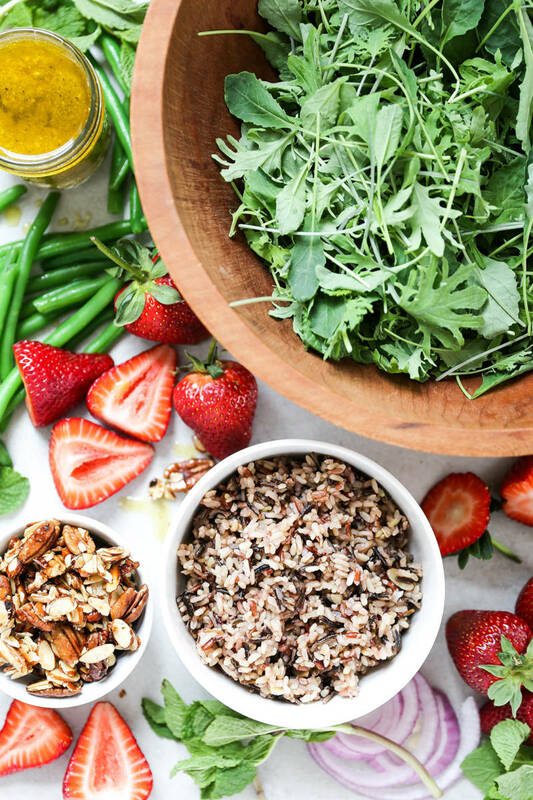 This delicious, vegan strawberry salad from Elizabeth Harris of Floating Kitchen will be an instant Summer menu staple. 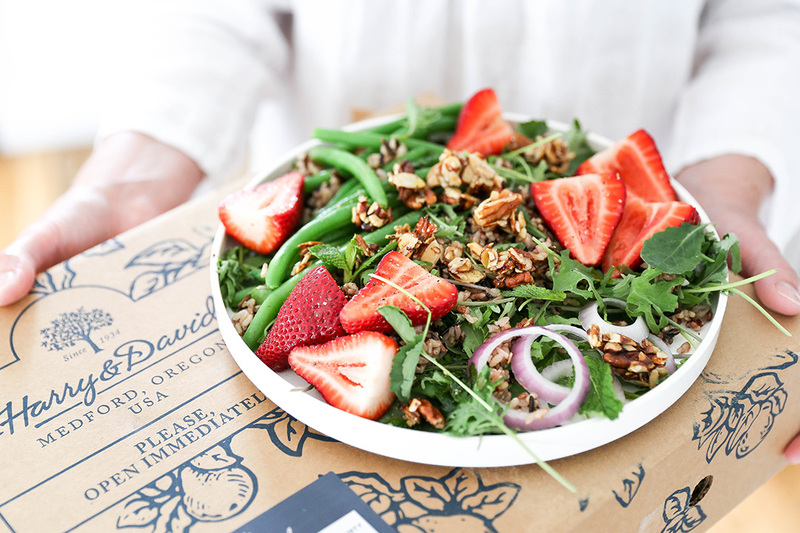 And, the addition of juicy Harry & David strawberries and homemade maple-nut clusters take this salad recipe from good to WOW. Summer is just around the corner and that means BIG SALADS back on the menu. Truth be told, plant-based salads are always on rotation at my house, no matter what time of year. But when the weather starts to warm up and fresh fruits and vegetables become more plentiful, I tend to get a little carried away with my creations. 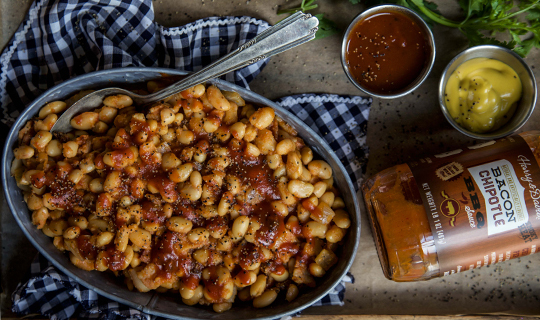 The more ingredients I can pile onto a big plate, the better! 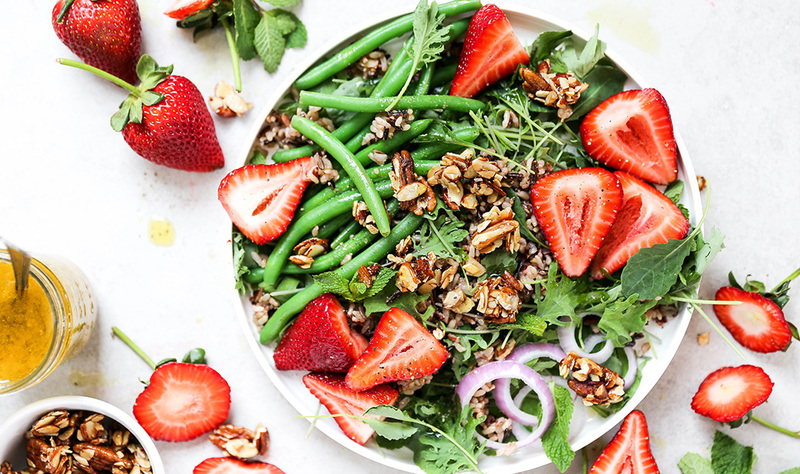 This vegan, gluten-free salad recipe is loaded with all my favorite seasonal ingredients, including crisp green beans, tender baby salad greens, fresh mint and big juicy strawberries. 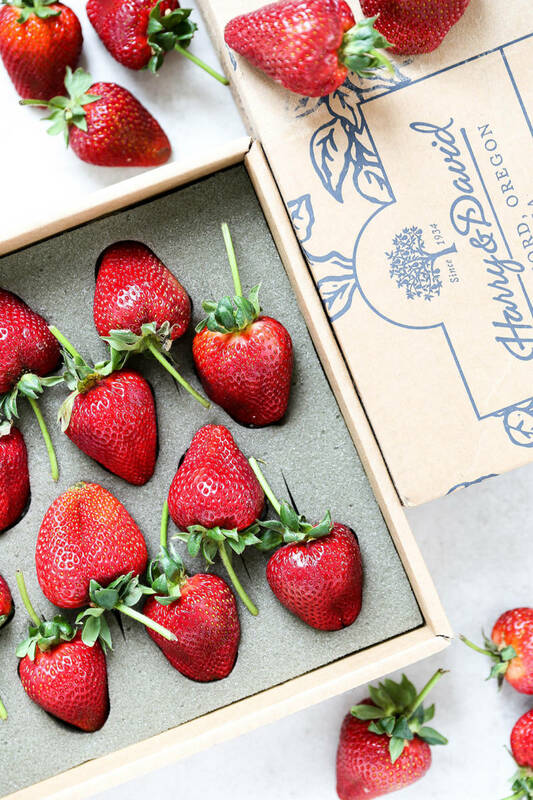 Nothing screams Summer like strawberries, and I just love including them in almost everything I’m making these days – both savory and sweet. I used wild rice in this recipe, because I like the “chew” that it provides. But you can certainly substitute in any of your other favorite cooked grains—like quinoa or farro—if you prefer. And fair warning: the maple-nut clusters are HIGHLY addicting. 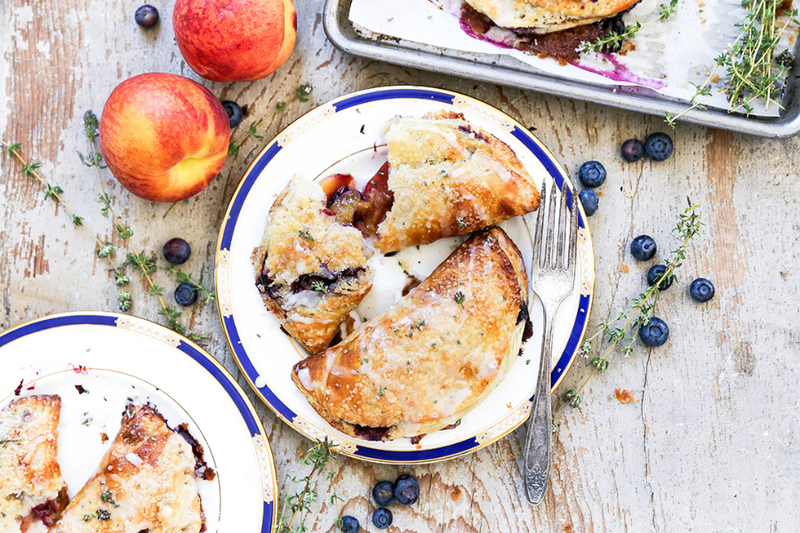 You might want to plan ahead and make a double batch so you have extra for snacking. They tend to disappear very quickly! This strawberry salad is great for any night of the week. But it’s also a total showstopper that would be perfect for any special occasion, like a big family brunch. To make the dressing, whisk together all of the ingredients until combined. Set aside. To make the maple-nut clusters, warm a small dry skillet over medium heat. Add the nuts and toast them, stirring frequently, until they become fragrant, about 1-2 minutes. Add the maple syrup and salt, stirring until the nuts are well coated with the maple syrup, about 1 minute more. Remove the skillet from the heat and spread the nut mixture out onto a piece of parchment paper and let it cool completely. Once cooled, break up any of the larger pieces into smaller clusters. Set aside. To make the salad, add the wild rice, green beans, greens, mint and sliced red onion to a large bowl. Drizzle with some of the dressing (you probably won’t use it all) and toss to combine. Divide the salad between serving plates. Top with strawberry halves and maple-nut clusters. Serve immediately. Makes 4 large “main course” salads.